What comes after L? And what comes before X? 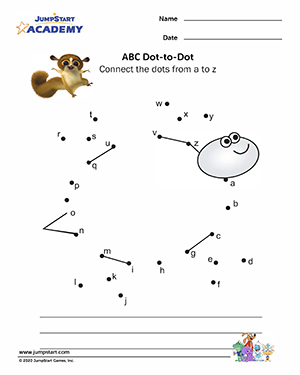 Get your little ones to practice the letters of the alphabet with this fun connect-the-dots worksheet. Tell your kindergarteners there is a hidden picture behind the dots and watch them make the connection with enthusiasm!